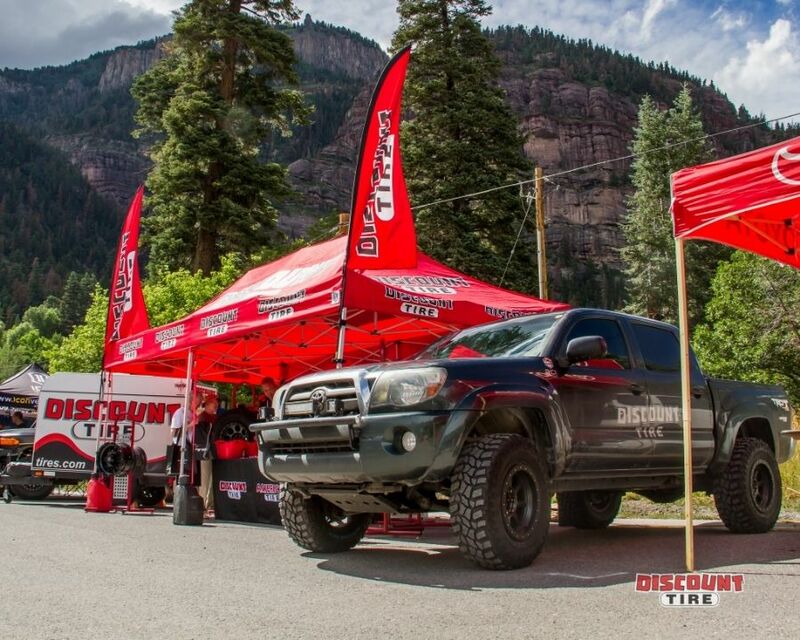 We put Cooper's new Discoverer STT PRO through the paces this past week on the scenic trails of Ouray, CO at the 9th Annual FJ Summit sponsored by Discount Tire. 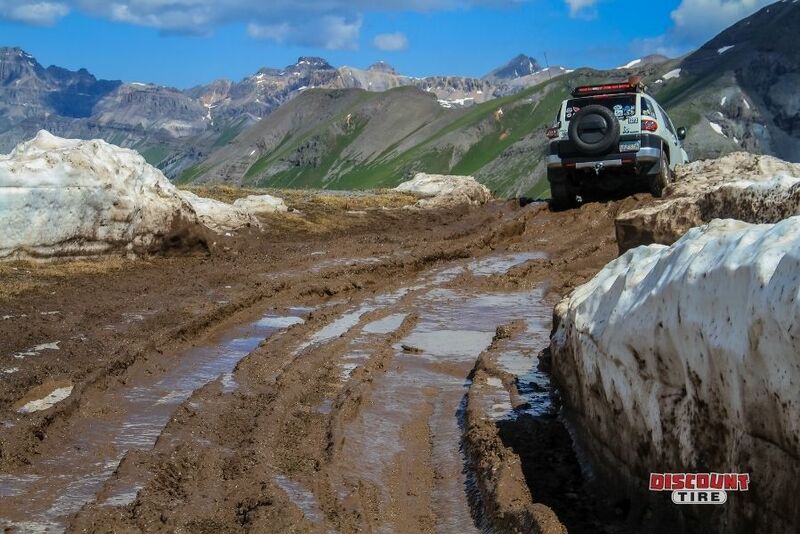 Those of you that have been to Ouray know that the terrain can change from one corner to the next and high altitude passes demand tires that don't slip. To us, it's a great location to put some new rubber to the test. 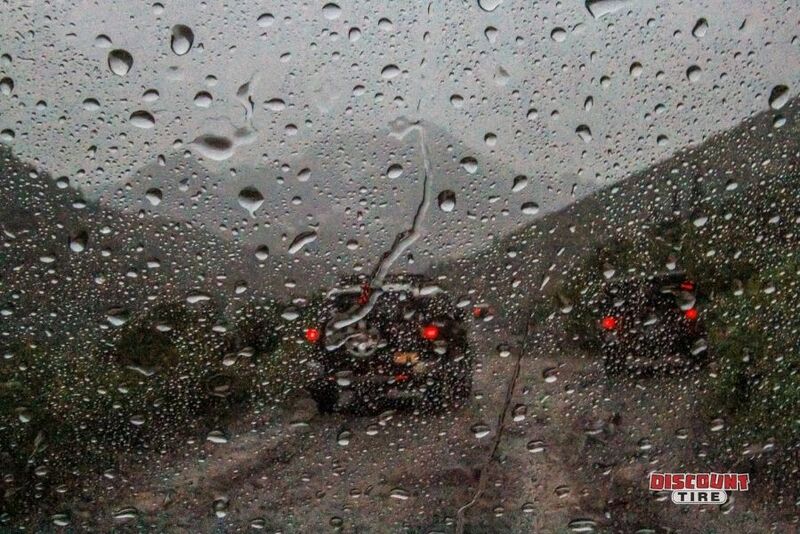 As an added challenge, it rained nearly every day at the event so our Discoverer STT PRO equipped 2WD Tacoma had it's work cut out, or so we thought anyway. The silica infused rubber compound provided the necessary grip on wet rocks and the asymmetrical scallops on alternating lugs, combined with the optimized 3-2 tread pattern, delivered solid traction and clean out in the slop. That said, we did find one spot on Imogene Pass that required us to get a little tug (the S-turn towards the top of the trail). The combination of slippery mud, tight turns, 2WD, and an incline was just enough to hold us up. If we would have had 4WD we would have pulled right through it. In addition, we put approximately 1,000 highway miles on this tire making our way to and from Ouray. The tires tracked well down the road and were responsive to our steering input. There was some road noise present, but this is to be expected from an aggressive tire like this; with the windows up and the radio on, we quickly forgot about any tire noise. We think Cooper hit the nail on the head with the STT PRO and it is an excellent option to consider for the enthusiast who spends a decent amount of time off-road but still needs on-road reliability and handling. If you're running a set of Discoverer STT PRO tires let us know what you think here; we, as well as Cooper, would love to hear from you. 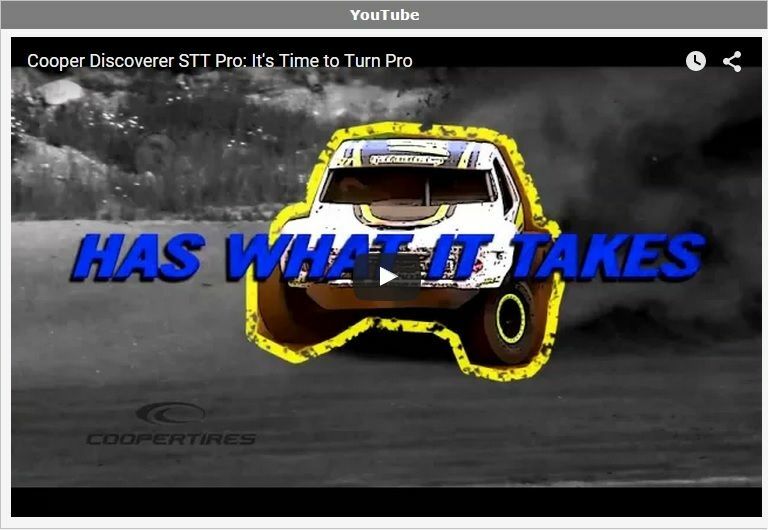 For additional write-ups on the Cooper Discoverer STT PRO, check out the links below. We weren't stuck, just needed a little assistance up the aggressive incline We would have needed the tug regardless of tire. Get a $50.00 Prepaid card from Cooper Tire by mail with the purchase of four (4) Cooper Discoverer STT Pro tires! Now, through July 31st, 2018.